* See my newest printable coloring pages. * Bookmark to catch my updates. Enjoy pretty flower coloring pages! Hi everyone! Spring is just around the corner. 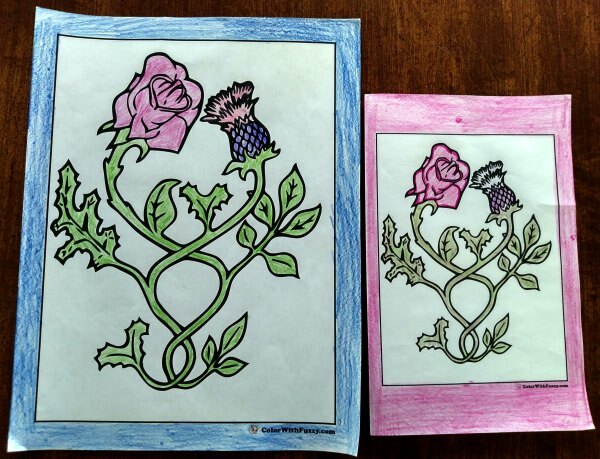 Check these pages for wonderful flower coloring pages to print! Fuzzy says that Daisies remind him of green fields and spring time. Most daisies have white petals and yellow centers so you can leave the petals white and color the background. See his daisy pictures here. Lilies are so beautiful! They come in many colors. White, yellow, and orange are common; yet my Mom has beautiful pink lilies in her yard called Assumption or Mystery lilies. My favorites are the big white Easter lilies. 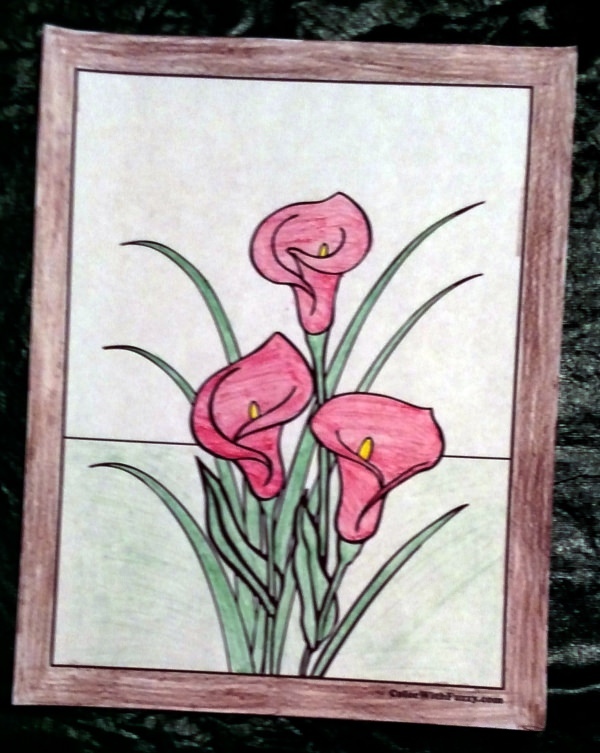 See lovely lily coloring pages here. 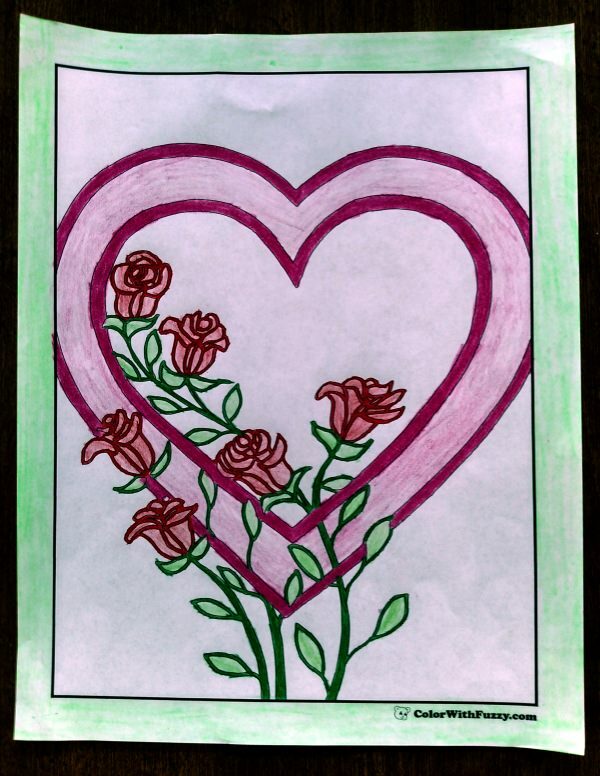 Go to this page for wonderful coloring pictures of roses. Roses bloom really well at the beginning of summer and at the end of summer so they are both spring and fall flowers. Color some of these rose pictures. Spring flowers let us know that spring has arrived. What a fun time of year! Fuzzy loves to see the pretty crocuses, hyacinths, and daffodils. 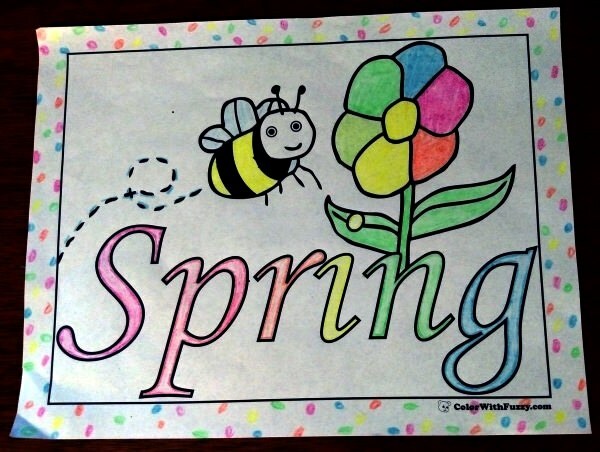 Choose your favorite spring flowers to color here. Sunflowers are the state flower in Fuzzy's state of Kansas. You'll love his realistic sunflowers. 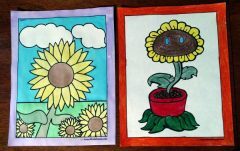 He also has some super cute sunflowers to color. Fuzzy likes pretty tulips planted all in a row. Do you like it when Mom gathers some tulips and puts them in a bouquet? 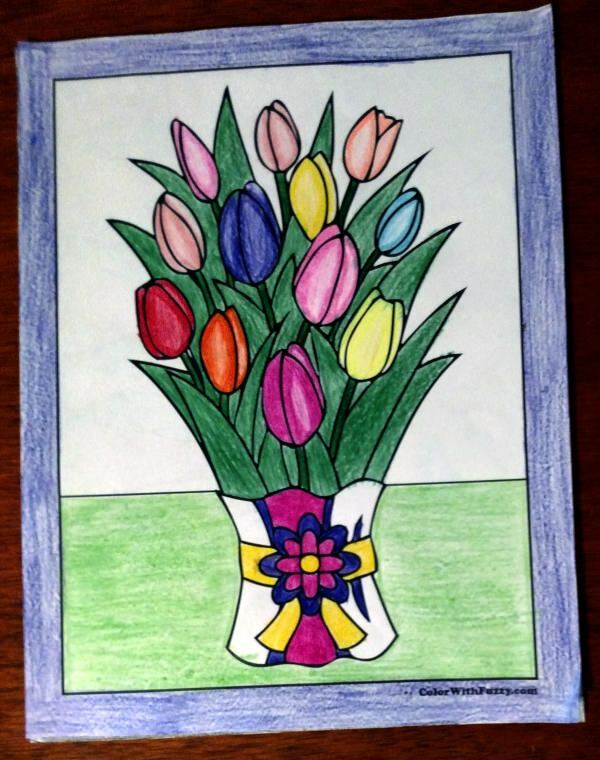 Join Fuzzy and color these pretty tulips. 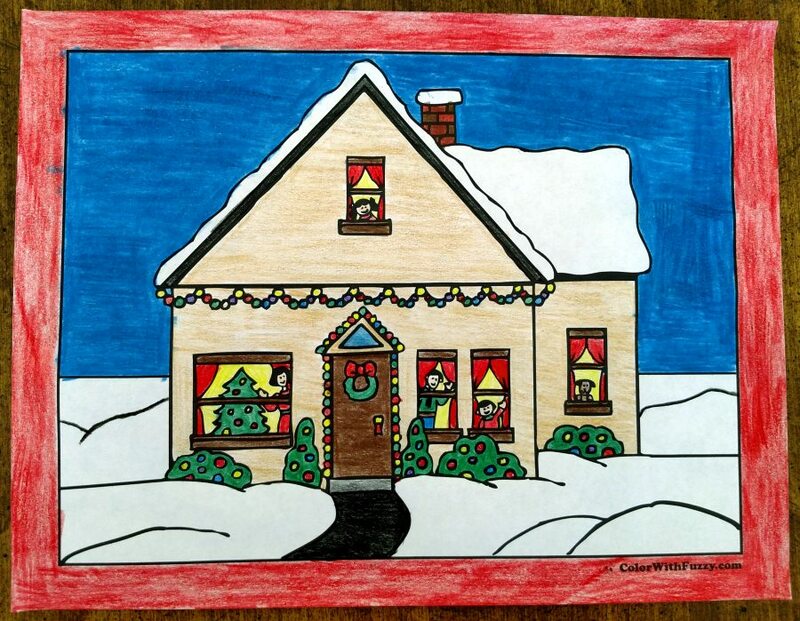 Continue reading "25+ Christmas Tree Coloring Pages ✨ Fun In The Snow!" 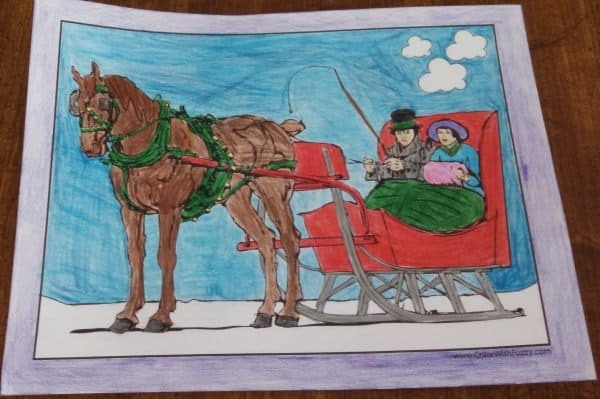 Continue reading "151+ Christmas Coloring Pictures ✨ Nativity Scenes, Merry Christmas!" 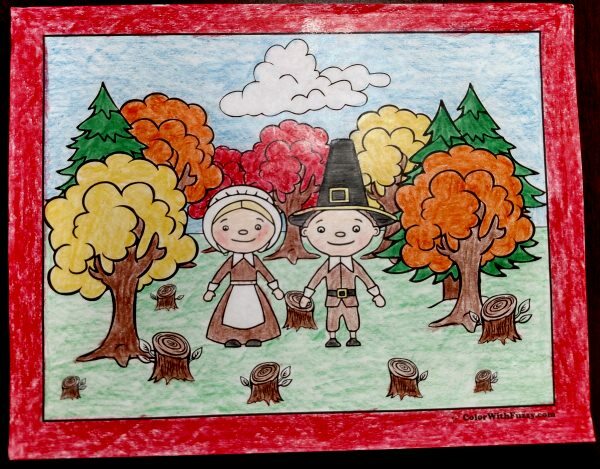 Continue reading "68+ Thanksgiving Coloring Pages ✨ Autumn Harvest Fun!" 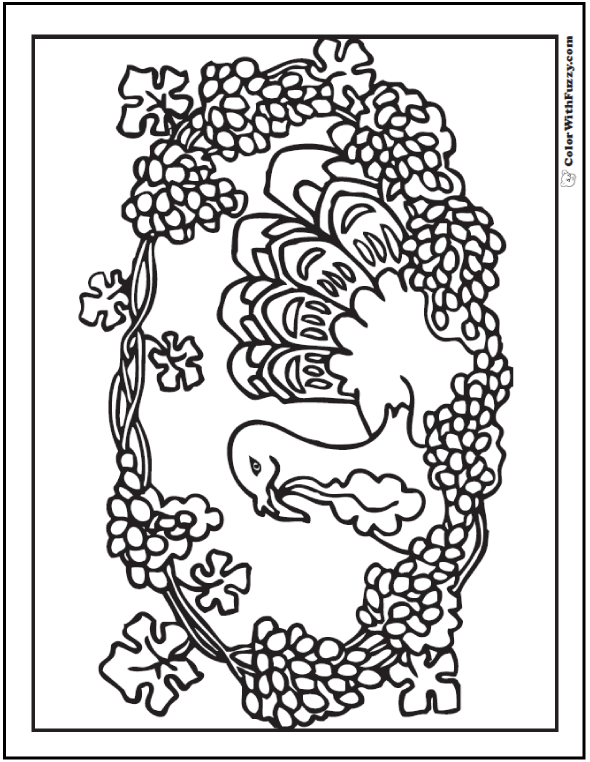 Continue reading "Color With Fuzzy Ezine ✨"
Fuzzy loves this autumn harvest coloring page with a turkey in a grapevine wreath. Perfect for a fall and Thanksgiving bounty theme. Continue reading "Autumn Harvest Coloring Page ✨ Fall Wreath Theme"
Color this autumn harvest coloring sheet with deep fall colors: butternut squash, acorn squash, and zucchini. 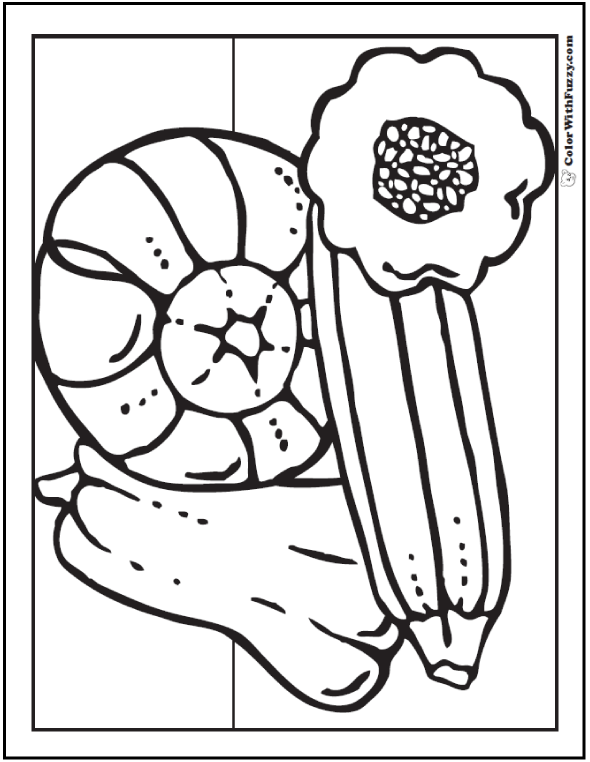 Food coloring pages of winter squash. Continue reading "Autumn Harvest Coloring ✨ Butternut Squash, Zucchini"
Find 1000s of printable coloring pages here. 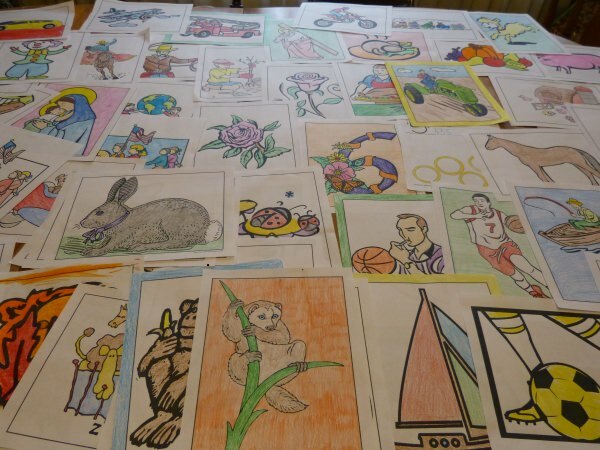 Coloring pages for kids and adult coloring pages: animals, birthdays, flowers, geometrics, sports, and holidays. 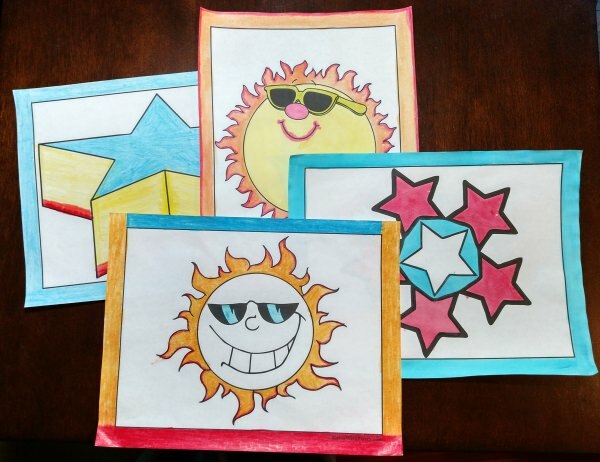 Customize these interactive coloring pages with text. 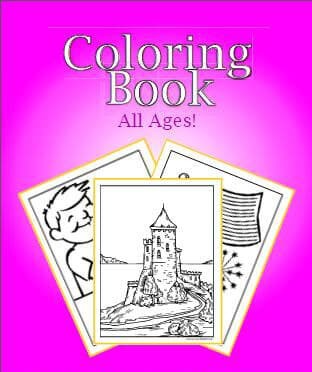 Great for preschool and homeschool kindergarten. 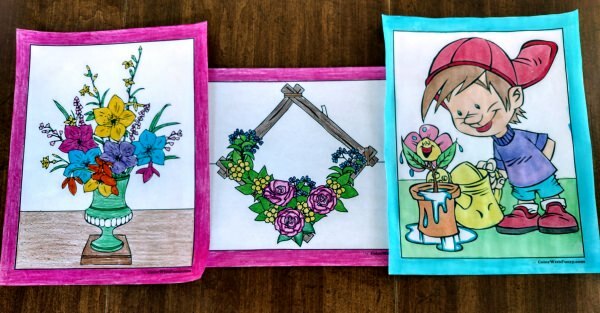 Continue reading "Printable Coloring Pages ✨ Got kids? 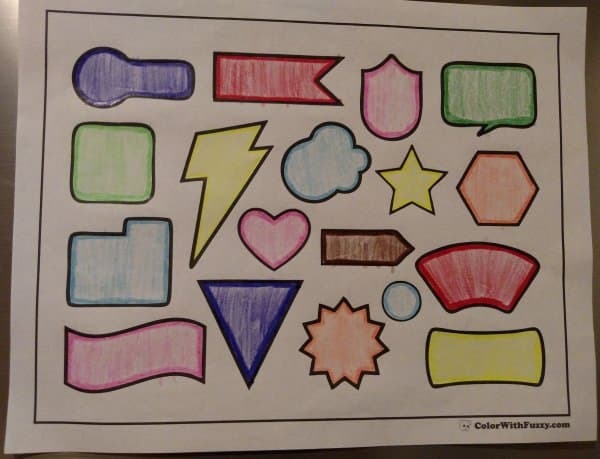 Color With Fuzzy!" One of my 3D geometric coloring pages is a cube coloring page which shows a three dimensional cube in cubed sections morphing into pieces. Continue reading "3D Geometric Coloring Pages ✨ Cubes Coloring Page"
Check out Fuzzy's shape coloring pages for both math and art class. Circles, spheres, squares, cubes, triangles, and pyramid forms. Artsy shapes too. Continue reading "80+ Shape Coloring Pages ✨ Color Squares, Circles, Triangles"
Fuzzy has PDF 3D coloring pages for kids. 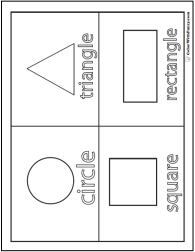 Geometric and three dimensional shapes for art like cubes, pyramids, and cylinders. 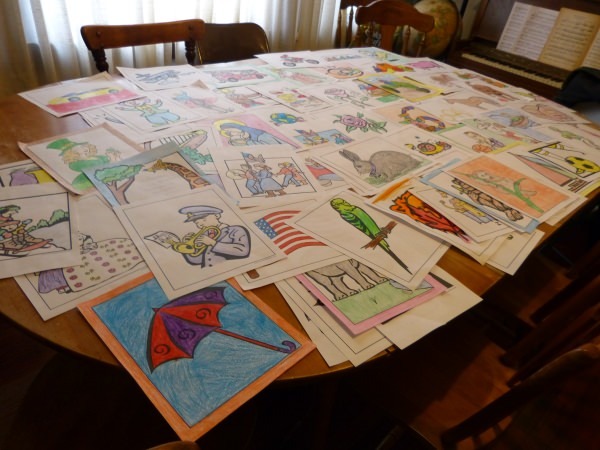 Many more shape printables, too. Continue reading "3D Coloring Pages ✨ Geometrics And Three D Shapes"
Fuzzy has American football coloring pages: players, coaches, gear, helmets, and more. Receiving receivers and running running-backs. Kick off and touchdown. 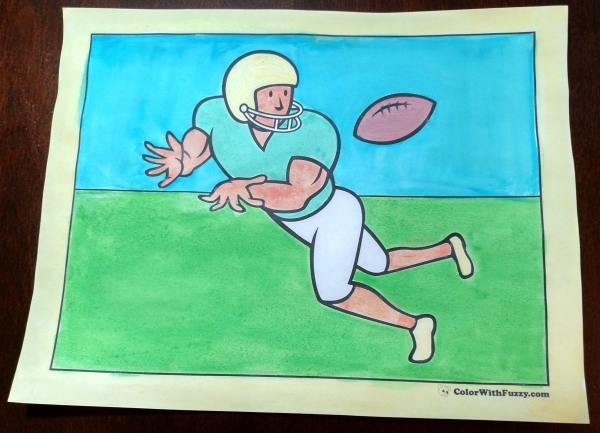 Continue reading "Football Coloring Pages ✨ Customize And Print PDF"
Fuzzy has over 35 dog coloring pages to brighten the day for your kids! Cute dogs, realistic dogs, popular breeds, and more! 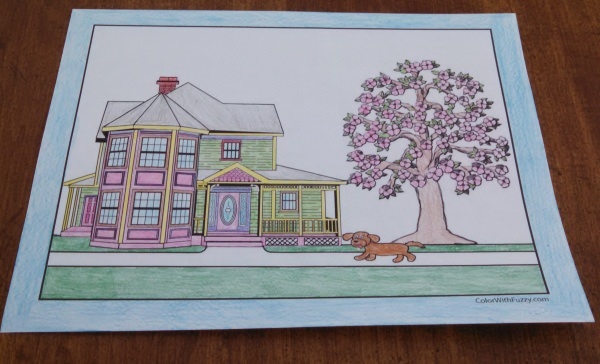 Continue reading "35+ Dog Coloring Pages ✨ Breeds, Bones, And Dog Houses"
Kids enjoy animal coloring pages with beautiful birds, cats, dogs, and horses. 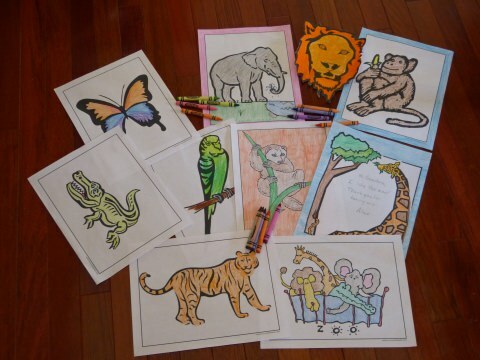 Cute coloring pages of baby animals, farm animals, insects, and zoo animals in PDF format. Continue reading "101+ Animal Coloring Pages: Customize and Print"
Fuzzy has sixty stellar star coloring pages! Dramatic shooting comets, daystar, sun shapes, sun faces, moon sun and star, and Mexican sun pictures for kids and adults. 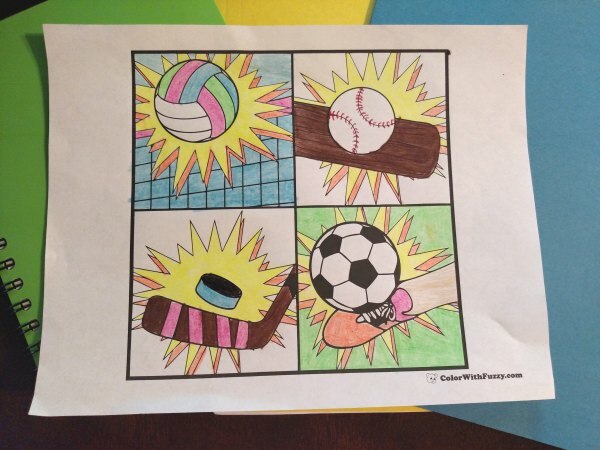 Continue reading "60 Star Coloring Pages ✨ Customize And Print PDF"
Fuzzy has fast action sports coloring sheets: baseball, basketball, football, soccer and other activities like skating, skiing, and tennis. PDF printables. Continue reading "121+ Sports Coloring Sheets ✨ Customize And Print PDF"
Fuzzy loves rose coloring pages! You will love these spring and fall rose bouquets, single blooms, primroses, rose windows, and compass roses; both realistic and geometric roses. 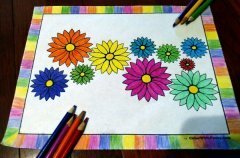 Continue reading "73+ Rose Coloring Pages ✨ Customize PDF Printables"
Fuzzy's advanced adult coloring pages include simple and complex flower, animal, and pattern coloring book designs for your doodling pleasure and stress relief. 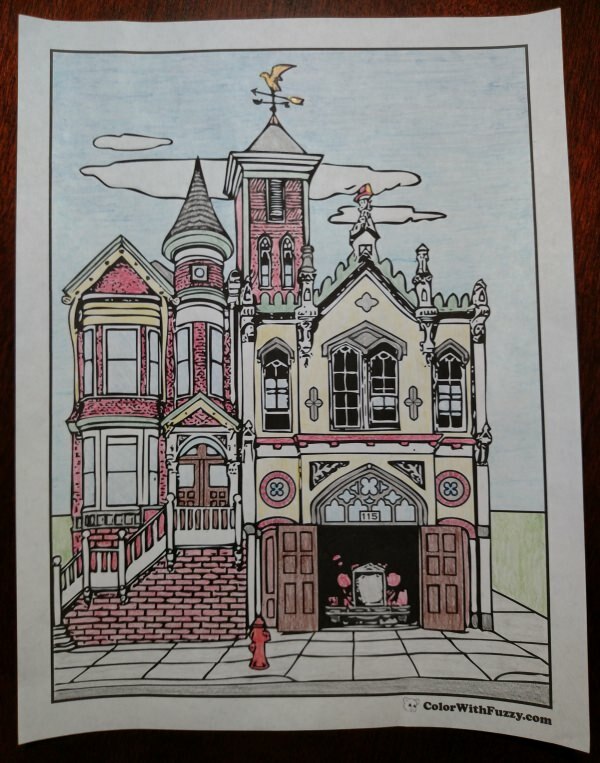 Continue reading "42+ Adult Coloring Pages ✨ Customize Printable PDFs"
Continue reading "FTC Disclosure ✨ ColorWithFuzzy"
Disclaimer: ColorWithFuzzy.com does not accept any responsibility for any loss which may arise from reliance on information contained on this site. I'm so happy to have you here and I look forward to your comments and suggestions. I love reading what visitors have to say. 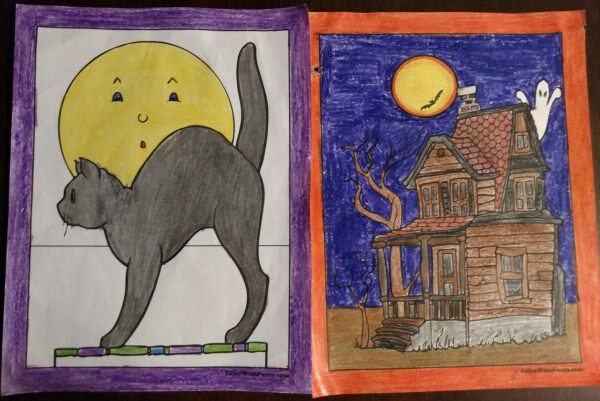 Come color with Fuzzy! 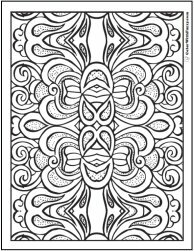 Continue reading "Contact Me ✨ Color With Fuzzy"
Printable Celtic knot symmetrical Celtic coloring page: Mirror image of swirls, pretzel twist, and leaves ending in hearts laced in tendrils. 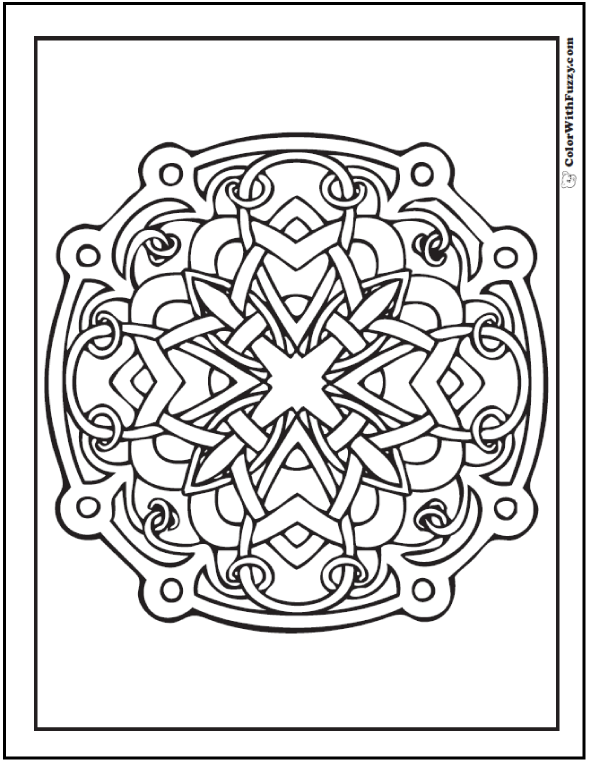 Continue reading "Printable Celtic Knot ✨ Symmetrical Celtic Coloring Page"
Celtic heart knotwork intrigues children and adults alike. 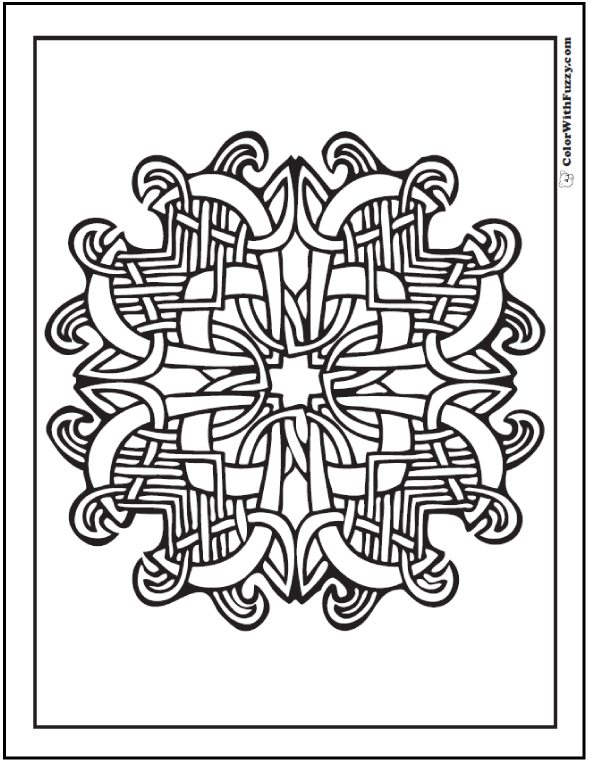 This Celtic coloring page has a woven design that forms four hearts. Continue reading "Celtic Heart Knotwork ✨ Celtic Coloring Page"
Print a Celtic design coloring book by collecting these Celtic coloring pages. Start with this loop and thread circular wreath design. Use the hollow space to make a Celtic Cross. 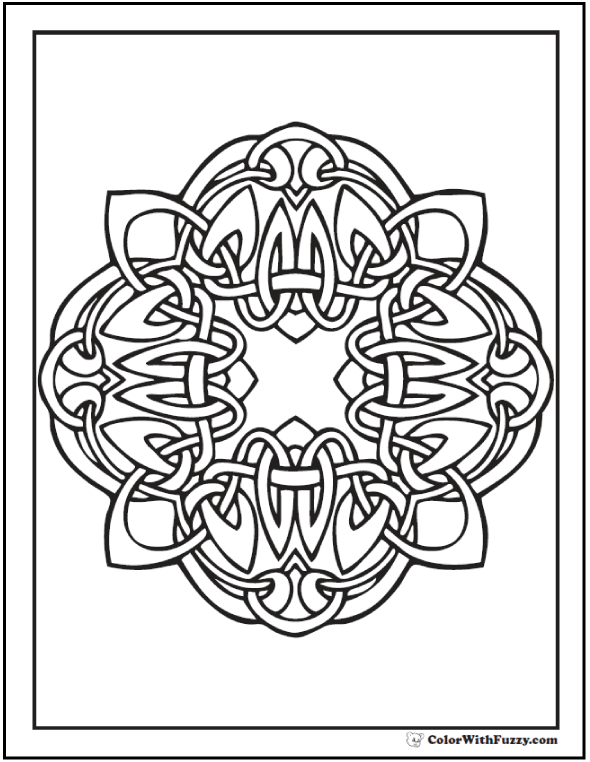 Continue reading "Celtic Design Coloring Book ✨ Celtic Coloring Pages "
Coloring Celtic designs is fun! You'll like this cross in a wheel Celtic coloring page interwoven with tendrils, leaves, and dots. 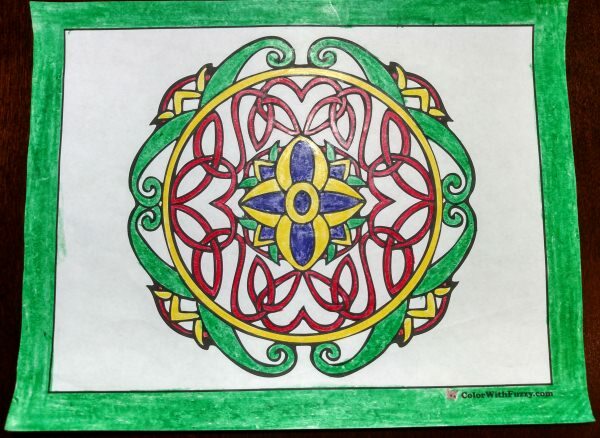 Continue reading "Coloring Celtic Designs Is Fun! 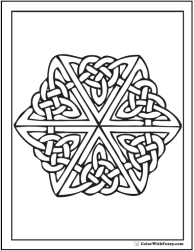 ✨ Celtic Coloring Pages"
Celtic designs make wonderful Celtic coloring pages. See this braided circle design for a simple yet intricate printable coloring page. 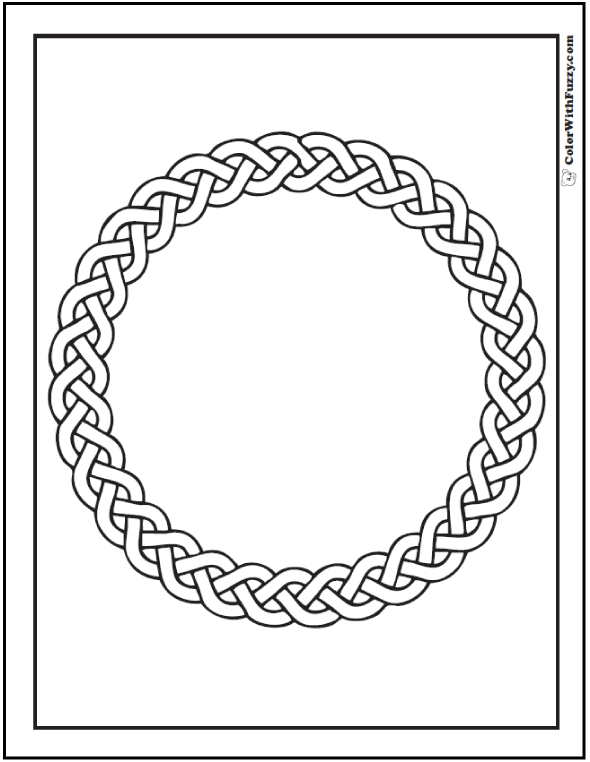 Continue reading "Celtic Designs ✨ Braided Circle Celtic Coloring Page"
Fuzzy has scores of Irish and Scottish Celtic coloring pages with Celtic knot designs - the coolest tangles. 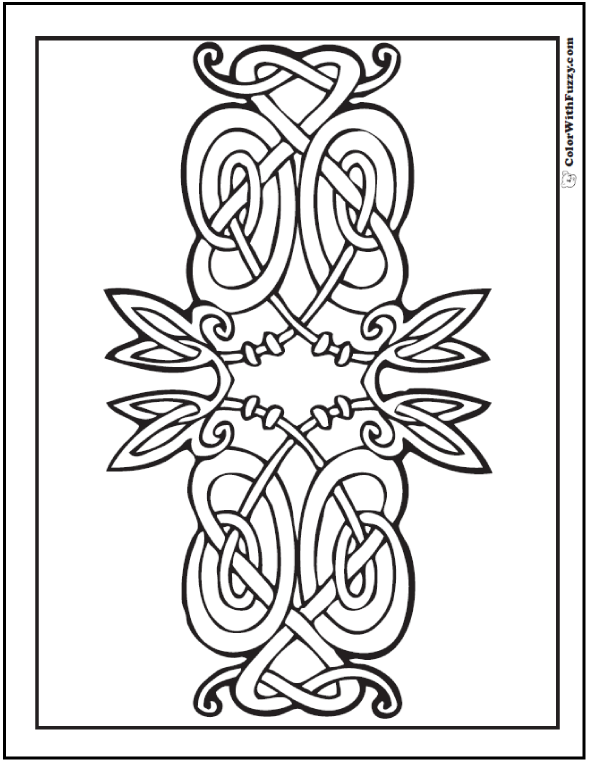 #PrintableColoringPages #CelticColoringPages PDF Celtic printables: crosses, geometric, animals, birds, and hearts. Continue reading "90 Celtic Coloring Pages ✨ Irish, Scottish, Gaelic"
Continue reading "72+ Halloween Printable Coloring Pages: Customizable PDF"
Thank you for sharing Fuzzy's printable coloring pages!